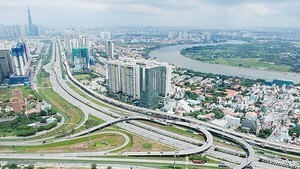 Vientiane wants to learn from Ho Chi Minh City’s experience in front work, Chairman of the Lao Front for National Construction (LFNC) – Vientiane chapter Bounthieng Khounsy has said. 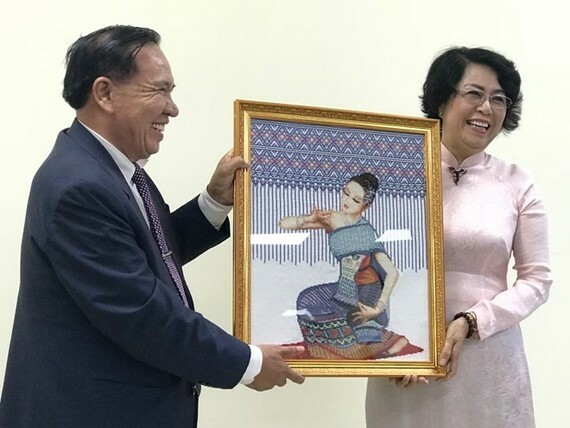 The official made the confirmation during a working with To Thi Bich Chau, Vice President of the Vietnam Fatherland Front – Ho Chi Minh City chapter, as he was visiting the city on September 6. Along with front work, he also expressed his hope that the two cities will intensify cooperation in trade and investment, pave the way for both sides’ goods to enter each other’s market, thus helping nurture and develop the two countries’ traditional friendship, special solidarity and comprehensive cooperation. Chau told the guest that the Vietnam Fatherland Front – Ho Chi Minh City chapter has focused on intensifying dissemination on the occasion of the country’s main festivals, and step up the implementation of patriotic emulation programmes and promote locals’ patriotism through dissemination activities related to national border, sea and islands. The organisation has also held fundraising programmes in support for disaster-affected victims, while supervising the implementation of socio-economic development plans of the city’s authorities, Chau stated. She said that the organisation is preparing for its congress for the 2019-2024 tenure, with the focus on bettering front work programmes, serving as a bridge between the Party and the people, taking part in Party and administration building, and creating the highest consensus in implementing socio-economic development plans.